Graham Jackson Photography: La Pieta, as an Angel. La Pieta, as an Angel. 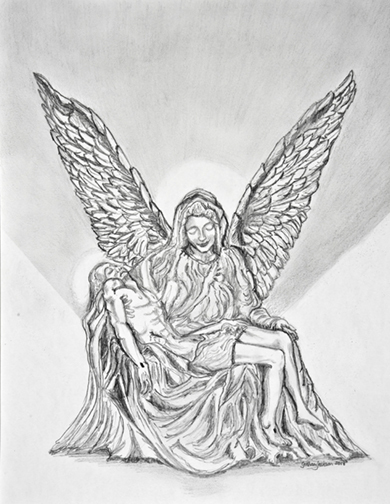 A pencil drawing of 'An Angel', for an exhibition of 'Angels' at the Town Church St Peter Port, to raise funds for the church.